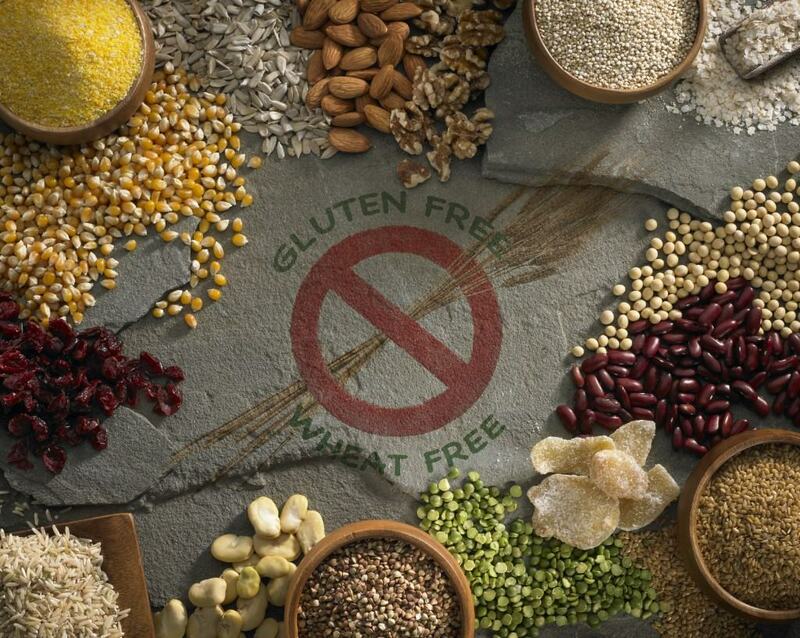 Coeliac disease is an autoimmune disorder, which sort of means that the body “attacks itself” when exposed to gluten. The walls of the small intestine is lined with millions of finger-like villi. Together the villi greatly increase the surface of the intestine (think ruched fabric), and thus provide for a lot more time for nutrients to be absorbed. You can imagine that the nutrients have a much longer way to travel with plenty of villi, up and down lots of hills, which gives the body much longer time to gather all the nutrients in the food. As a person with coeliacs disease consumes gluten, these villi become damaged. This is called “villous atrophy“.The longer you are exposed to gluten, the more damage can be done. Someone who has gone undiagnosed for a very long time can have next to no villi left. When the villi gets damaged or disappears the body cannot absorb nutrients properly, and deficiencies may start to manifest. The numbers are quite astonishing; an estimated 1 in 133 people have coeliac disease, and as much as 1 in 22 of people with a coeliac first-degree relative have it. Not enough research has yet been conducted to firmly conclude on these figures, and it is furthermore estimated that the condition is on the rise. The increase in cases is believed to be of environmental origin rather than a matter of awareness, and studies are currently being conducted on the subject. On top of these numbers are all other non-coeliac gluten disorders, so you can only imagine how many people are wandering the earth with a tummy ache! For coeliacs disease to “kick in”, all of three factors must be present; genetic disposition, gluten consumption and an external “trigger”. The trigger is highly variable, and can range from pregnancy or surgery, to exposure to parasites. Personally my disease seems to have been triggered by a horrid round of salmonella. The fact that coeliacs disease is genetic means that it is hereditary. In other words, one or both of your parents must carry the gene(s). This does not however mean that your parents need to have active coeliacs disease, nor does it mean that you must have it if they do. Approximately 95% of coeliac patients have the gene HLA-DQ2, and the remaining patients are usually HLA-DQ8 positive. Still, about 20-30% of people without coeliacs disease have also inherited one of these genes, and it only increases the risk of actually developing the disease by 36-53% (source). HOW DO I KNOW IF I HAVE COELIAC DISEASE? As of today, the only universally medically recognized diagnostic method for discovering coeliac disease is through an endoscopy of the small intestine. Before an endoscopy is recommended, the procedure is usually to screen a sample of blood for gluten antibodies. This is often referred to as a “Coeliac Panel” blood test. However, this test is not 100% reliable and can show a false negative, which it did in my case. It may also show a false positive, although this is even rarer still. The accuracy increases greatly when two specific tests are used in combination, namely tTG-IgA and DGP IgG, reducing the false negative rate to 16%. You may also take a blood test to screen for genetic predisposition to coeliac disease. Endoscopies may show a false negative, but never a false positive. A false negative endoscopy may be due to misinterpretation by the physician, that not enough tissue was collected, or the fact that the disease is in its early stages and the villi has undetectable damage. My first endoscopy at 21 years of age was negative, only to be followed by a positive test 9 years later. This could mean that the illness hadn’t commenced yet, but given the presence of symptoms leading to the endoscopy, it might be plausible that my villi simply weren’t sufficiently damaged at that point in time for the disease to be detected. Also, I had chosen to cut gluten from my diet in advance of the endoscopy, not knowing the possible consequences of that choice. It is very important that you do not stop eating gluten before you have been properly diagnosed, even if it hurts. I did, and it resulted in a lot of delay and confusion ten years after when the symptoms had become overpowering. I had a (false) negative blood test, and coupled with a ten-year-old negative endoscopy, doctors didn’t even consider coeliac disease during their process of diagnosis! I was very sick for a lot longer than necessary. Don’t let that happen to you. You are not a hypochondriac! Looking at this list there is no wonder many undiagnosed coeliacs are labelled “hypochondriacs”. I certainly started feeling that label after a while. My sister frequently used the word and even my mum started hinting that I may be a bit “over-sensitive”. After a while I even started wondering if they might be right. Was I “thinking myself sick”? Many of the symptoms are being linked to something called “leaky gut syndrome”. Leaky gut is not a medically recognized condition, but is frequently referred to in conjunction with coeliac disease. The idea is that a permeability of the gut wall allows larger particles to “leak” out into the body causing an immune reaction. Coeliac disease is one of the most commonly misdiagnosed (and undiagnosed) conditions. WHAT HAPPENS IF I DON’T TREAT MY COELIAC DISEASE? Results of untreated coeliac disease are many. In addition to the symptoms described above, you can develop infertility, bone loss, bowel cancer, osteoporosis, neurological and psychiatric conditions, congenital malformations, short stature (in children), tooth enamel defects, pancreatic disease, internal haemorrhages and organ disorders. In other words; if you have any concerns, are experiencing symptoms, or if you have coeliac disease in the family -get checked! Talk to your doctor, and explain your concerns. Your doctor will be able to offer you the right testing. WHAT CAN I DO TO HEAL? This is the good part! All you have to do to get better is stop eating gluten. Although that might sound daunting, it really is all you have to do! No (more) meds, no surgery, no rehab, just good food. Food really can cure, and as of yet is the only thing that will cure symptoms stemming from coeliac disease. Going gluten free will technically not cure the actual disease, once a coeliac always a coeliac, but you will no longer be in pain or malnourished. The earlier the disease is found, the faster the healing. For adults who have been undiagnosed for a long time, healing can be a slow process, it might even take years. Some seriously damaged villi might never fully recover, but will, however, improve remarkably. It is never too late to start feeling better! If you have been undiagnosed for a while you may have to give your body a bit of time to heal. If you have, in addition, developed other conditions as a result of going undiagnosed for a long time, naturally these will have to be treated on the side of your going gluten free. There are things you can do to help battle symptoms along the way. Take a look at this great post about how to cope with accidental gluten exposure. Further to avoiding gluten there are innovations on the horizon. Trials are being conducted as we speak, for a “coeliac vaccine” (which you can read more about by clicking on the link). Bear in mind though, that the trials are in the early stages and we are most likely talking years before this might be a reality. Simultaneously, researchers are attempting to make a pill which aims to treat the symptoms related to coeliac. You can read more about the coeliac “miracle” pill here.